"Ride, Boldly Ride till you find El Dorado"
Custom Oregon Old West Shooting Society badges now available for special order. Cost will be $45 or less per badge (based on cost/volume pricing with each order) and due upon delivery – contact Holy Rider at HolyRider45@gmail.com with your ‘Alias’ as you want it on the badge & your SASS ‘number’ – add ‘L’ for Lifetime member or ‘R’ for Regulator if appropriate. Any questions call 541-953-6149. We’ll notify you when the order is placed – production time is 6 to 8 weeks. Thanks for being part of our Shooter Family! Click on the Badge for a larger view. We are Oregon's original Cowboy Action Shooting Club (1989). We are located about 12 miles south of Albany just off I-5 near Shedd. We share the North Range of the Albany Rifle and Pistol Club (ARPC). We shoot every 3rd Sunday and 4th Saturday starting at 10am. Registration is at 9am. Please check club calendar for actual shoot dates. Come out and join the fun. All of our bays are covered. Visitors welcome at no charge. Please bring eye and ear protection. Fees are $10.00 per shooter or $15.00 per couple. Juniors shoot for free with a paid adult. We are a SASS affiliated club. What is SASS? Any information you want to know about SASS, or our club is located here. The links above will take you to where you need to go. We hope you enjoy your visit, and tell your friends about us. If you have any questions or comments just call or email anyone of the fine folks listed below. A New Shooter packet is now available. Click here to download. 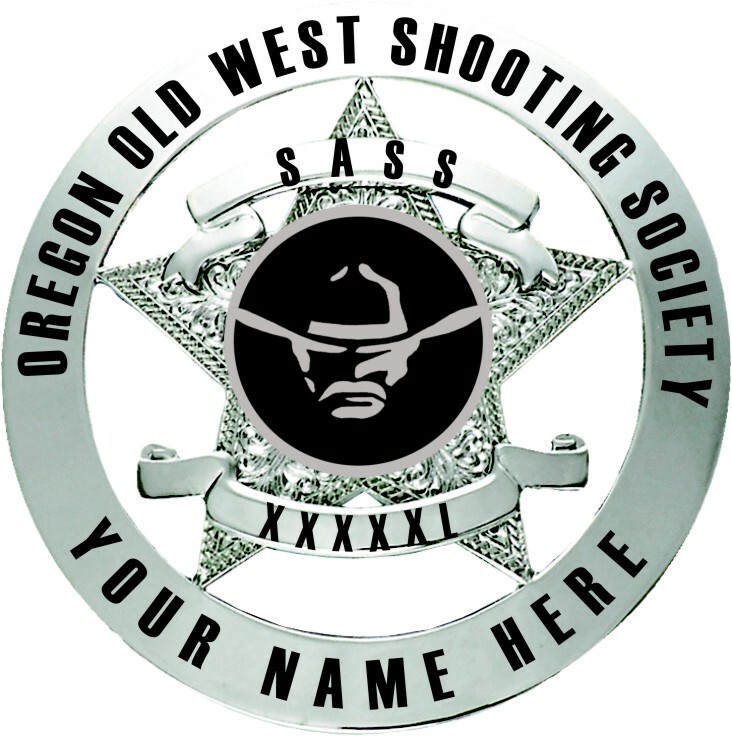 **NOTE: The Oregon Old West Shooting Society maintains the right to prohibit any person or persons from attending or participating in OOWSS sanctioned events." Web Site Questions, Suggestions, Corrections or Submissions? Copyright 2006 - 2019 [MVWD]. All rights reserved.